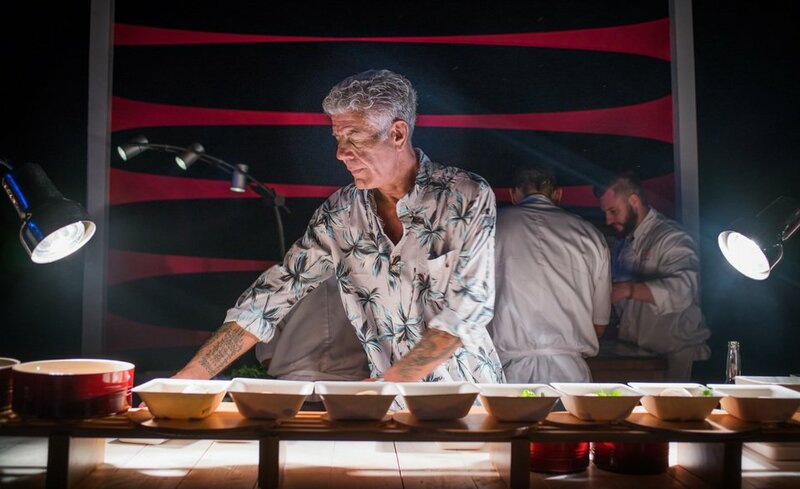 Anthony Bourdain embodied everything I wanted to become professionally. He travelled to the most beautiful and unique places in the world. He had fascinating conversations about politics and society with the most interesting people in the world. He feasted on the most exotic and delicious foods in the world. And he got paid to do it all. It seemed like the dream life that everyone wants, but tragically it wasn’t enough. Or it was too much. The sad irony is that though his show “Parts Unknown” seemed to put his amazing travel life on display for millions, there were dark and desperate parts of his life that were unknown to everyone. Suicide is a tragically growing occurrence. In the United States, the suicide rate has increased in almost every state for the past two decades. It affects people across all social demographics. Yet the recent string of celebrity suicides, including Robin Williams and Chester Bennington, and just most recently Kate Spade, has brought this issue to the forefront. These are people that, from the outside, looked like they had it all. They achieved and attained everything that we all hope to have. But it did not satisfy their lives. Shortly after Robin Williams’ suicide, I reflected on the irony of his death. He brought so much happiness to everyone else, but couldn’t find it himself. He seemed to have all the things that we think should have made him happy – fame, success, money, and family. But it all wasn’t enough. The pursuit of more is often what drives us, and in many ways, keeps us alive. We think that getting certain things or arriving at certain stages in life will bring fulfillment. It’s the hope that there could be a better life tomorrow, and so we keep on chasing those things and that hope. Perhaps it’s the attainment of all those things and the realization that there was nothing left to pursue, and yet there was still an emptiness, that brought these individuals such hopelessness. Maybe for the thousands of others that commit suicide, it’s the realization that they will never attain the things they want. But of course, it’s a lot more complicated than that. After mass shootings and suicides in the news, the simple answer is mental health. It defaults to depression and bipolar disorders. But it’s so much more complex than that. Some commit suicides because of chemical imbalances in their brain that create overwhelming feelings of depression. Yet many commit suicide from the result of social threats like bullying. And others because of the weight of economic pressures and responsibilities. Some do it from repeated drug abuse. We won’t know why Anthony Bourdain committed suicide, especially when he had a life that everyone envied. And at least from the outside, it seemed like he was living life to the fullest and loving every second of it. Maybe it was just for the camera, and his friends and crew saw a different side. But maybe they didn’t. Maybe they saw the same life and would have seen him as the least likely person to commit suicide. He may have suffered depression for years. Or unknown events in his life compounded too much recently. Or perhaps he had a completely different set of demons to fight. We all have different demons that weigh down on our soul. Some of it is external – financial hardship, difficult relationships, or just seemingly never-ending struggles. Some of it is internal – the desire for more in life, a dissatisfaction with what we have, or a general negativity. And for many, it’s something way out of their control – chemical and biological processes that seem to doom them for despair. We all struggle, we all have a tipping point, and we all need help. I don’t know what will prevent further suicides. But what I can do, and what we all can do, is fight for each other more than we fight with each other. Fight to love people, regardless of who they are. Fight to let them know tomorrow can be better. Fight to show them that life is beautiful. For now, I’ll leave this opening to Parts Unknown, which seems to have so much more depth now.